Travelers to Western Crete appear to be satisfied with restaurant services, accommodation, local hospitality and transport, according to a recent study. Fraport Greece received a gold award at the Tourism Awards 2019 event, for the upgrade works at the 14 regional airports under its management. Crete's "Kydon, The Heart City Hotel", has been honored for its prime hospitality services with the “Loved by Guests" award by Hotels.com. The “Knossos Palace” cruise ferry of Minoan Lines has returned to its Piraeus-Crete scheduled itineraries, following its environmental upgrade. Air France, KLM and Sky Express have signed an interline agreement, aiming to strengthen their commercial cooperation for flights between Paris, Amsterdam and the Greek islands. Crete is among the five best destinations in the world for 2019, according to TripAdvisor's Travelers' Choice Αwards for Destinations. Visitors to Crete give Chania thumbs up for its hospitality, local products and hotels but are not satisfied with the infrastructure and cleanliness, an annual survey reveals. 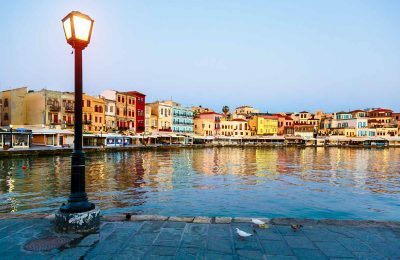 Marketing Greece has launched a “Tourism Partnership for Chania” by joining forces with the Chania Hotels Association and Fraport Greece – the manager of Chania Airport. The airlines of Lufthansa Group last year carried some 2.7 million passengers to/from Greece, a record number compared to 2017, up by 18 percent. The 14 Greek regional airports managed by Fraport Greece are expected to handle 35-40 million passengers annually once upgrade works are completed. 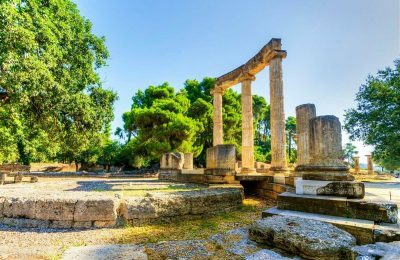 Irish low cost carrier Ryanair has announced its Greek 2019 winter schedule, which offers 12 new routes connecting Greece with 10 countries. 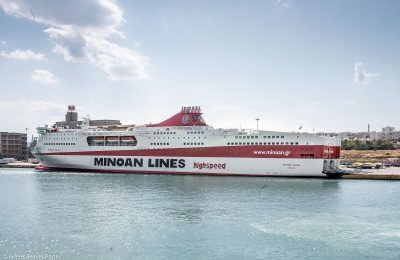 Greek passenger shipping company Minoan Lines has installed an exhaust gas cleaning system (often referred to as scrubbers) on its Mykonos Palace cruise ferry. Aiming to introduce Thessaloniki's gastronomy tourism to the city's visitors, Grekaddict, a marketplace for travel experiences in Greece, has made a number of additions to its portfolio of culinary experiences for travelers. Greece's 14 regional airports run by Fraport Greece registered a 12.3% rise in passenger traffic in January this year, compared to the same month in 2018. 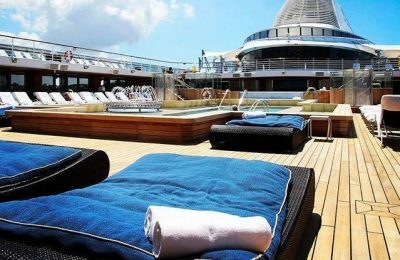 Demand for luxury cruises has been on the rise during the last few years, a trend continuing into 2019, according to Athens-based agency Cruiseway Travel. Elianthos Villas, located on Crete, has once again been honored with the Guest Review Award by online booking platform Booking.com. Rhodes and Crete appear to be among the leading destinations of choice for the German-speaking market in 2019, according to travel services provider HolidayCheck. Minoan Lines will amend its itineraries on the Piraeus–Chania and Piraeus-Heraklion routes, starting on Wednesday, January 9, and until Thursday, April 18, 2019.